Over the course of the past few semesters, the C.R.E.W. 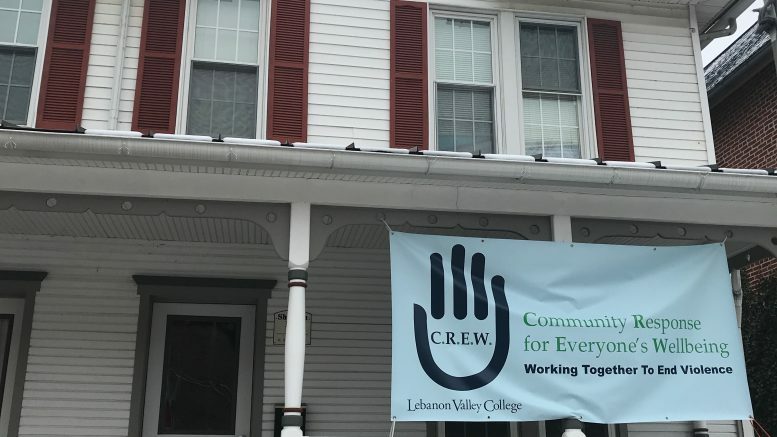 Committee (formerly known as the Violence Prevention Committee) has been working hard to create a training program that is fine-tuned to the needs of LVC. The C.R.E.W. Committee is a team that consists of groups both on and off campus that are dedicated to the physical and emotional safety of the community. The Committee opted to move away from Green Dot training and instead create its own training program to help students identify and defuse situations of power-based violence. The new training program has the same principals as its predecessor and focuses on discussion, sharing and even a few games. After completion of the program, which takes about 4 hours, students will receive a t-shirt, button and certification. Additionally, interested students are encouraged to join the Committee and set up training for on-campus groups. Anyone who has already gone through Green Dot or C.R.E.W. training sessions are encouraged to take on leadership roles within the committee by becoming a bystander intervention trainer or facilitator of activities or consider living in the C.R.E.W. House. Interested students can contact Sally Clark or Brent Oberholtzer for more information.